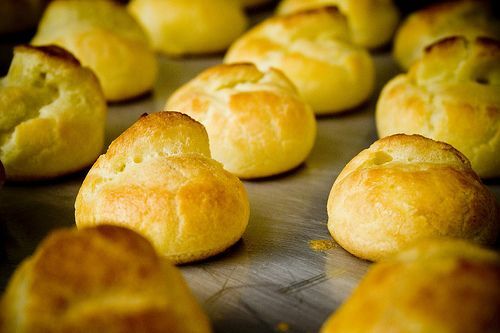 A Gougère is a savory simple choux pastry (the dough used for éclairs, cream puffs, religieuses, and profiteroles) which is flavored with grated cheese. 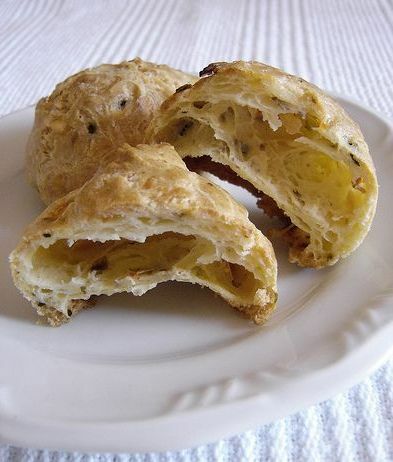 I used Comté cheese for this recipe but gruyère is also another popular choice. 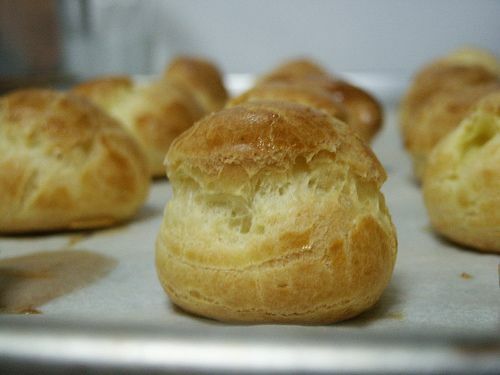 Gougères is a classic appetizer dish that are usually served as an accompaniment to a glass of wine. 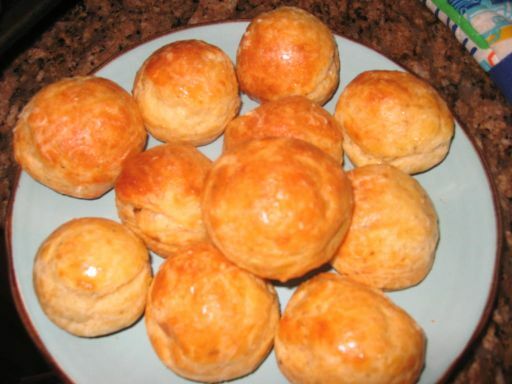 Gougères are sometimes called cheese puffs in English. 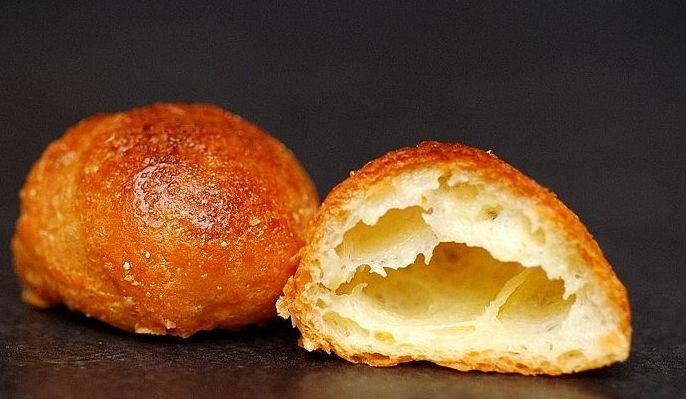 The inside of a Gougère is supposed to be hollowed as show in this picture. It is also best eaten hot or warm. I took a bunch of pictures on the preparation of the dough and then unfortunately, my camera ran out of battery. I re-charged it and it the process it erased all of my previous pictures! Oh well. 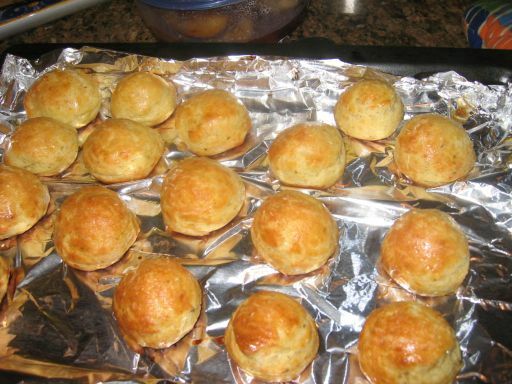 The only two pictures I have left is when the Gougères were coming out of the oven..